In addition we believe that Private Life Insurance companies are not safe. As a result of this we take life insurance policies from Lic Of India Only. 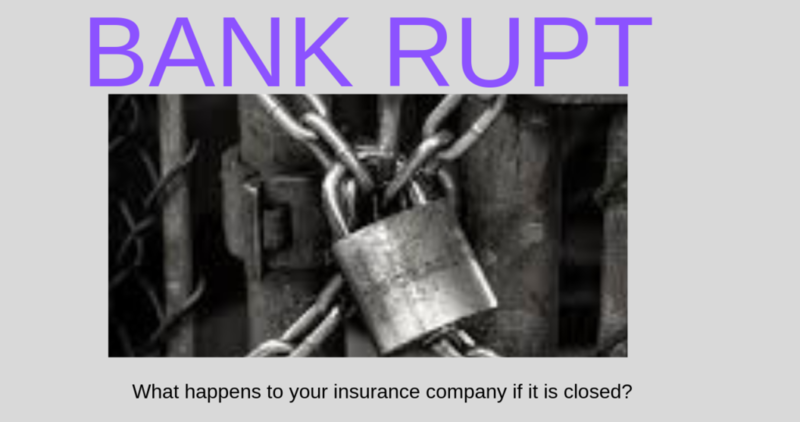 Bankrupt-What if Your Insurance gets bankrupted? Here, The huge crowd of Lic agents always spreading the message that Lic of India can never go bankrupt(get closed). In addition, these LIC agent say that Lic of India is backed up by Government India. Again, there are some other people who say that Private Life insurance Companies are also safe. Here, we should understand rules and regulation about Insurance companies in India ( described by IRDA). It is not easy to get licence for doing Insurance Business in India. The company should have a proven track record for at least 5 years with profit in each quarter of a financial year. In addition, The company require 100 crores to start insurance business in India. In the case of Central Government Demands to cancel the license. If failed to do investments in Social and Infrastructure as specified in Insurance act. In case if the insurance does not cooperate with IRDAI for inquiry. If the insurance company fails to give the information to IRDAI . If the insurance company fails to file periodic returns. Every Insurance Company must keep a reserve with IRDAI to settle the emergency claims( like earth quake etc.). If a company does insurance for Rs.1000 Sum Assured then the insurance company should keep a reserve for Rs.1,500 as solvency margin. As per the IRDAI rules, this solvency margin must be 150%. So, Higher the solvency margin means that the company is equipped to pay claims if there are sudden unforeseen events like earthquakes etc in the long run. 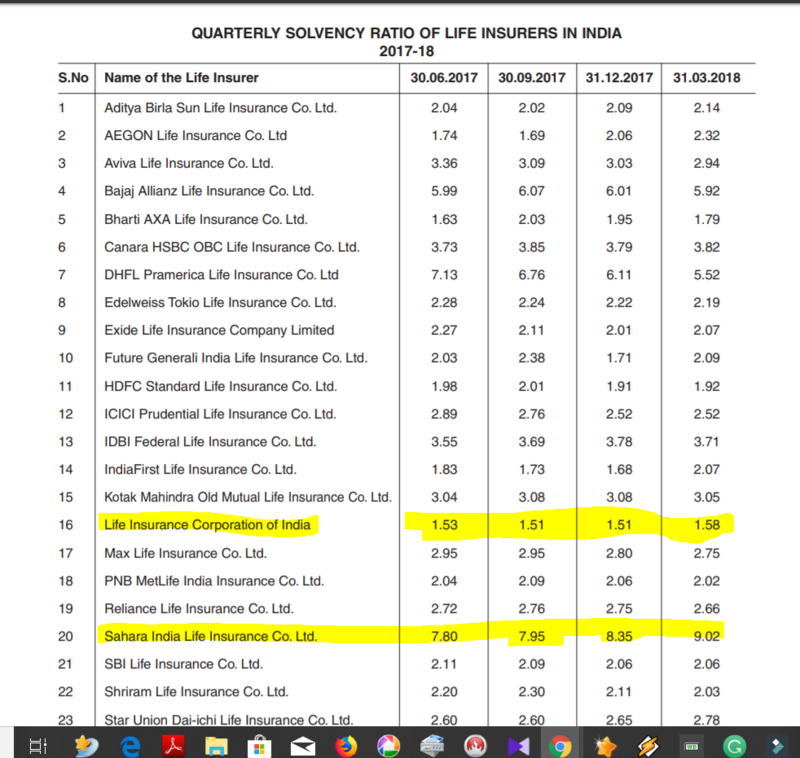 Solvency ratio of Life Insurance Companies In India. You can download annual report of IRDAI from this for F.Y 2017-2018 in this Link. Here, If you see the above image, It is evident apart from LIC of India, there are other Private Insurance Companies are also having enough Solvency Margin to pay the claims. Moreover, Sahara tops ( higher solvency margin than LIC) in the list having highest solvency margin. Hence, it is evident that Lic is keeping only mandatory Limit of 150% solvency margin While at the same time other Private companies are maintaining higher margins. Here, Government may back up Lic in case emergency earthquakes etc. But in case of Private players, these emergencies should be met with solvency margin only. Hence, Private Insurers are maintaining higher solvency margin with IRDAI than Lic Of India. 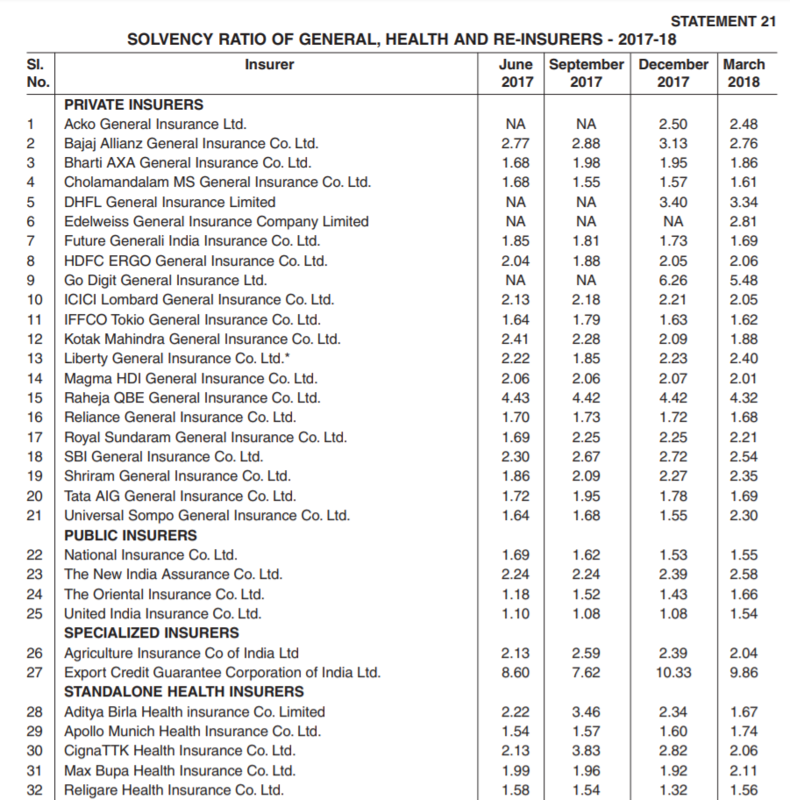 Health and General Insurance Companies Solvency RAtio. When a insurance company wants to close its insurance business completely. It can not do overnight. There are some rules and regulations prescribed by IRDAI. First, The insurance company should merge with other insurance company and later on can bail out from the business. Moreover, the insurance company can not do injustice towards it’s policyholders. You can find out more information from this link. Click here to read. Hence, You can buy any Insurance Company policy ( apart from LIC of India) without any hesitation. As all insurance companies are having enough mandatory solvency margin and also following IRDAI rules and regulations. Read why you should not invest in Ulip-Even they are tax-free at maturity. Click here to read. Also read, How the death claim amount of Life insurance should be invested? Click this link to read.